This week I turned 26. Thinking back, I realized that I actually did accomplish a lot during year 25 (dissertation, graduating from Edinburgh and getting my LLM, studying for the bar, passing the bar, judicial internship, getting a job, and finally being admitted to practice). My birthday was a wonderful introduction to what I hope will be another great year. Being the thoughtful, thinking-ahead person that she is, Christine had mailed me a package which I was not to open until the morning of July 14. 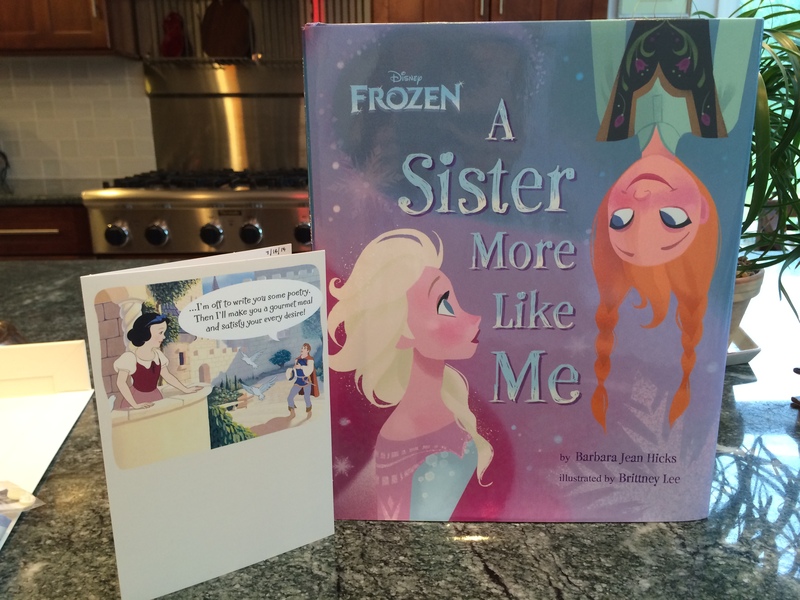 Inside was a cute and comfortable dress from gap and this card and this book. I think it was fate that she found them because I could not imagine anything more perfect. Yay Frozen! Christine and I saw this for the first time together, just the two of us, which was so perfect since it is a story about two sisters. I asked Christine which sister we would each be, but she said she didn’t know. I think I know . . . Since I share my birthday with Bastille Day, I thought croissants for breakfast seemed quite appropriate. 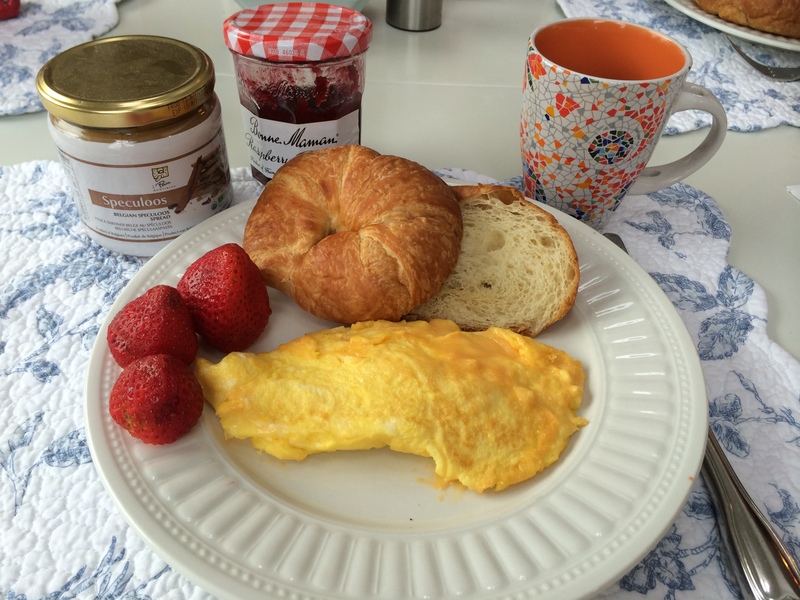 My mom made breakfast even better with the addition of a beautiful cheese omelet. The mug I bought while in Barcelona 3 years ago. The raspberry jam is my favorite jam. And the Speculoos spread from Le Pain Quotidien is to die for. It tastes like graham cracker cookies. And strawberries – I think they are a perfect birthday fruit. Next, unsurprisingly, was lunch. 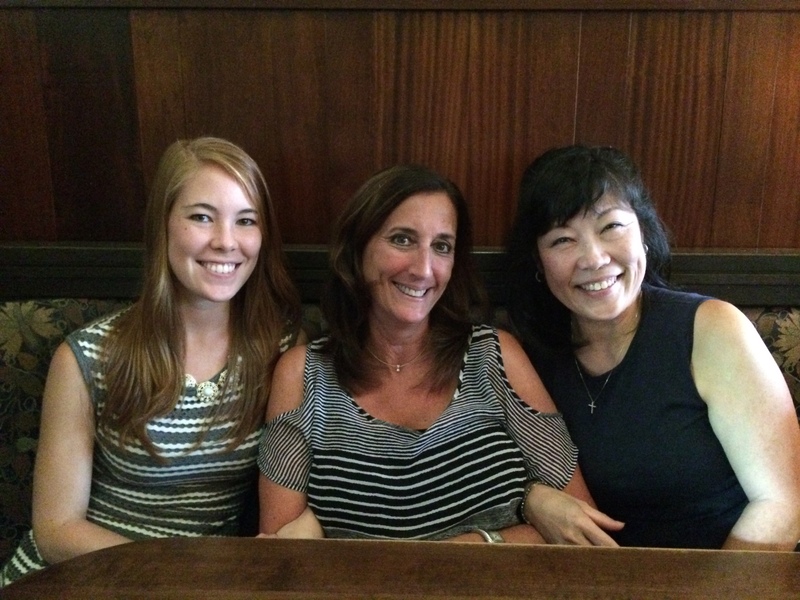 My mom and I met our friend Laurie for lunch at the Salt Creek Grille. Immediately when you walk in you are hit with the strong smell of mesquite. I had a delicious ahi tuna salad, and would definitely return for it as well as other interesting menu items (quinoa and kale salad!). 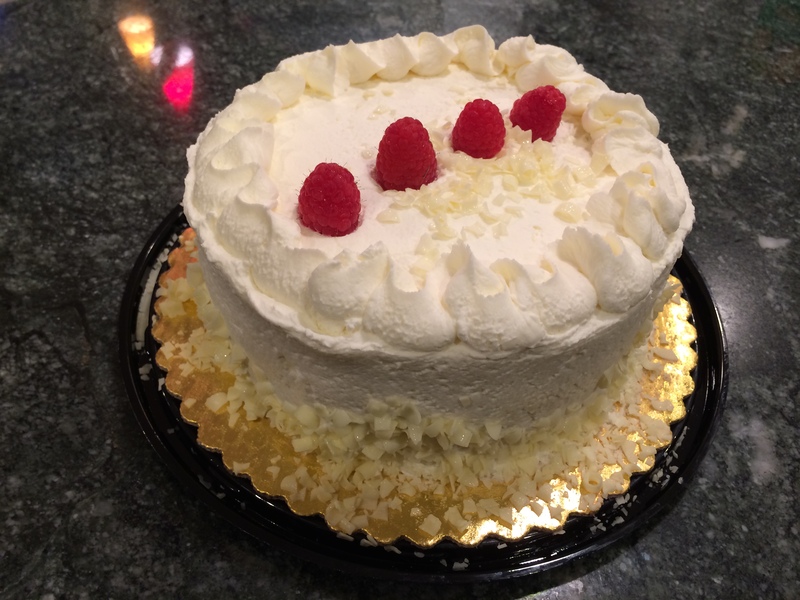 After lunch, my mom and I went to Wegmans to pick a birthday cake . . . more on that below! For my birthday dinner I had initially wanted to go to One53, but at the last minute I decided what I really wanted was seafood and, of course, the best for seafood is Francesco’s Villa in Pennington. I had a delicious arugula salad topped with shaved Parmesan, cherry tomatoes, and a refreshing lemon vinaigrette. 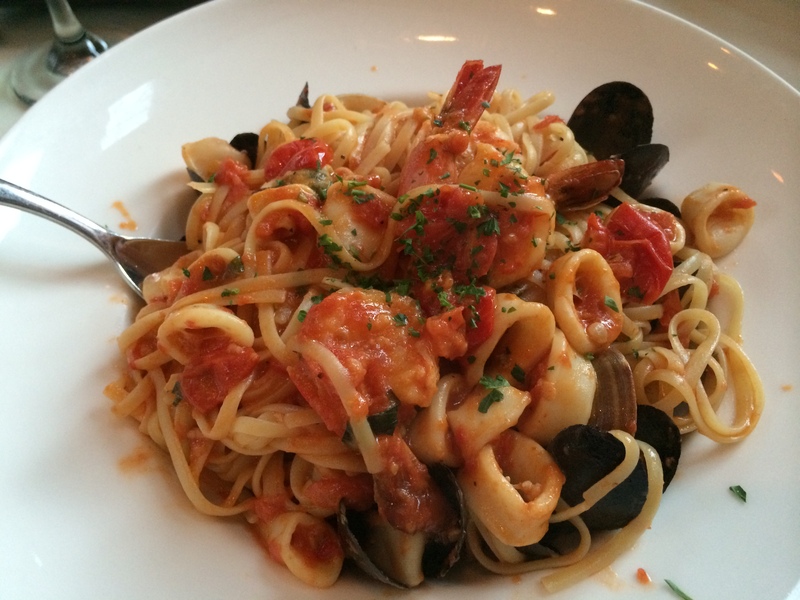 For my main course I went with my favorite/usual – Linguini Pescatore. 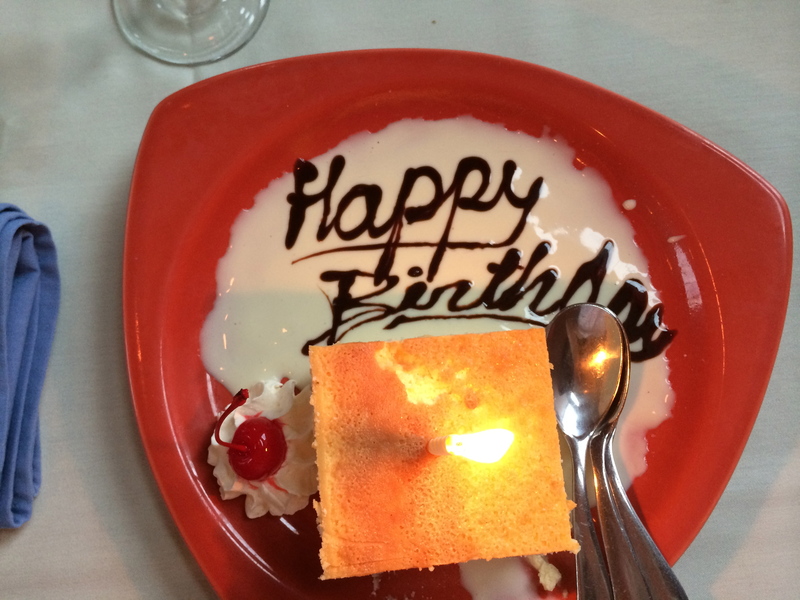 The restaurant owner heard it was my birthday, and so he surprised me at the end of the meal with a delicious slice of cheesecake. AND THEN . . . it was time for birthday cake! 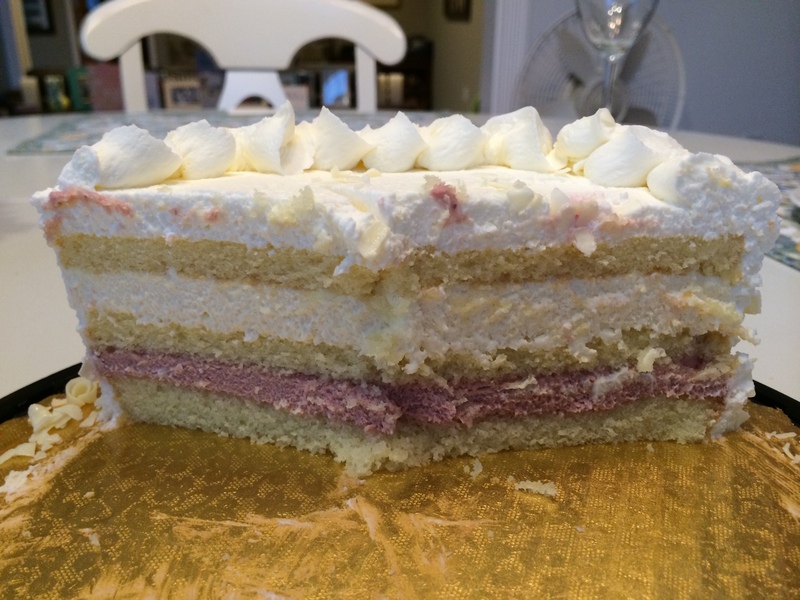 At Wegmans I had selected a raspberry lemon 3 layer cake. I LOVED this cake. It is my new favorite cake. It was so delicate and moist, with just enough sweetness and tartness from the fruit. I also really liked how the decoration of the cake was whipped cream, not frosting. 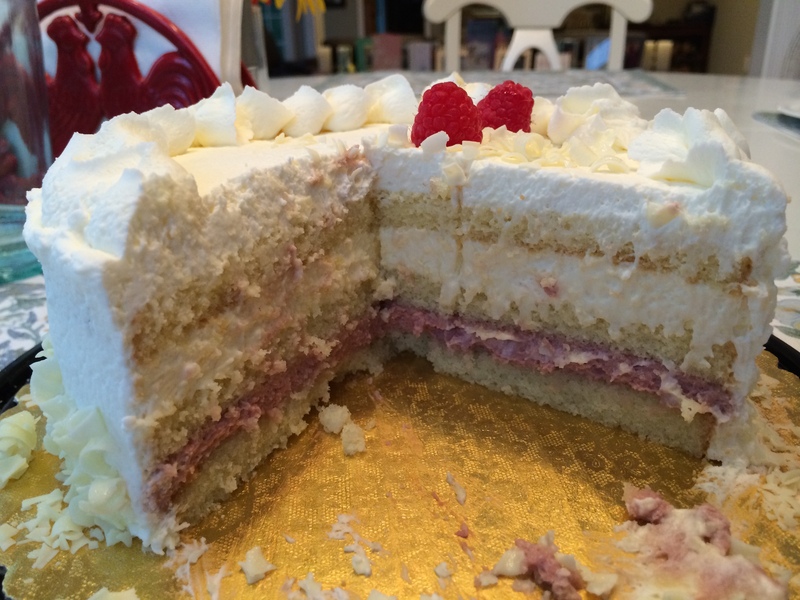 This cake just makes me want to sit on a spring day with some tea and enjoy slice after slice of this delicious cake. On to 364 days of being 26!